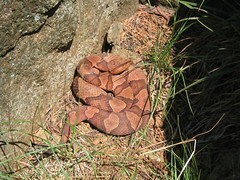 Venomous Snake Removal, Snake Trapping, Snake Clearing, Snake Removal from Natural Gas Drilling Site, Snake Removal from Well Pad, Snake Removal from Pipeline, Snake Removal from Location, Job Site Safety, Post-Flood Clearing, Movie Set Location Safety, FEMA Natural Disaster Safety, Snake Trapper. These are just a few examples of jobs we are called out on to remove snakes. All our venomous snakes are captured LIVE and relocated to Steve’s Snaketuary. 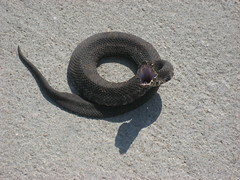 Professional Snake Removal – Watermoccasin, Canebrake Rattlesnake, Copperhead, Cottonmouth, Water Moccasin, Cane Break Rattlesnake, Pygmy Professional Snake Wrangler, Snake Trapper for the following areas: Shreveport LA, Bossier City LA, Barksdale Air Force Base LA, BAFB, Haughton LA, Minden LA, Keithville LA, Greenwood LA, Stonewall LA, Forbing LA, Elm Grove LA, Ringgold LA, Blanchard LA, Doyline LA, Oakland LA, Princeton LA, Dixie Inn LA, Plain Dealing LA, Benton LA, Coushatta LA, Natchitoches LA, Ruston LA, Monroe LA, Many LA, Zwolle LA, Alexandria LA, Farmerville LA, Natchitoches LA Louisiana.Rattlesnake, Texas Coral Snake or ANY OTHER SNAKE problem you may have.